Shamrock FC quickly found a more-than-capable replacement for the main event of its River City Casino card on March 24. News broke early this week that Chris Heatherly, who was slated to take on Aaron Highfill in the main event of SFC: 286, suffered a double hernia and was wisely advised by multiple doctors not to continue and fight. 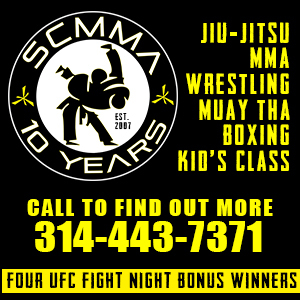 Despite the short notice, the new SFC: 286 main event will remain at welterweight. 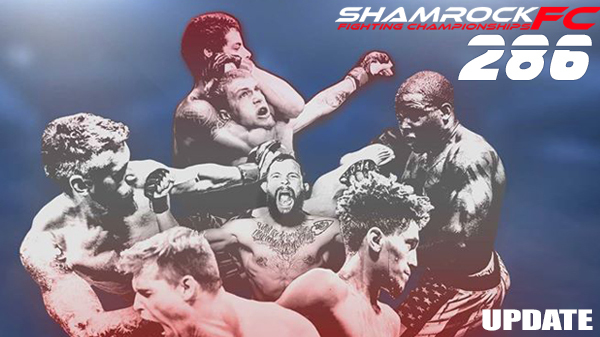 Shamrock FC president Jesse Finney said the promotion caught word of the possible need for a replacement over the past weekend and speculation turned into fact late Monday night. "We went to work right away and there were a bunch of fighters out there but Lindsey was pushing the most," Finney said. "Aaron wants to fight big name guys and I feel this is the level he is on." This will be Lindsey's first time fighting for Shamrock FC. Highfill (3-1) has won three straight in impressive fashion. Two rear naked finishes over Mike Brazzle and Kevin Brown and a dominant decision win against Stacy Bacon has improved Highfill to 3-1. Injuries have hampered Highfill's progress and kept him on the shelf for most of 2016. Now, he's finally healthy and back on track. Highfill sent a statement to critics that might have counted him out with a decisive victory over Brazzle last September. Heatherly was obviously disappointed. He was craving the chance to get back into competition and show off the due diligence he's put in at Pedigo Submission Fighting, home of several submission world champions. "If I was still young in my career and if I didn't have a four-year-old, I probably would have tried to fight but the doctors were pretty adamant about not fighting," Heatherly said. "I'm very disappointed. I haven't been driving two hours a day (to get to and back from Pedigo's in Mount Vernon, IL) for eight weeks for no reason. My weight was dialed in and my jiu-jitsu has gotten so much better. I really planned on going out there and showing the same drive I had when I was smashing everybody. I really thought this fight was tailored made for me." After surgery, Heatherly said doctors told him he could return to training in three weeks. Heatherly started his career 8-1, including two stops in the UFC and the RFA. More recently he has gone 1-1 under the Bellator banner.